Didi, Mamata Banerjee has become the new mocking platform for mockers in Delhi. 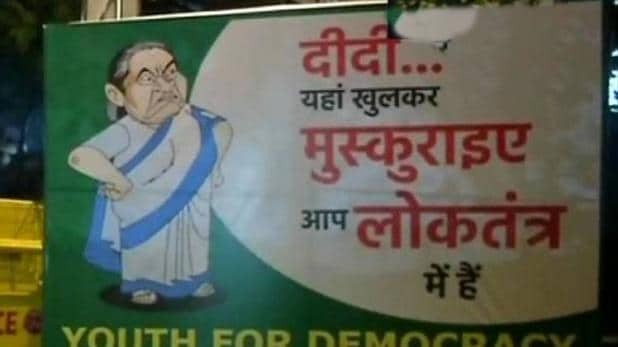 Ahead of Lok Sabha elections 2019, several posters of West Bengal Chief Minister Mamata Banerjee were put across in the capital city. One of the posters read a message, “Didi, smile to your heart’s content, you are in a democracy”.On the other side some posters “Welcome to Delhi, where democracy is alive and kicking, Didi!”.